Blue M Stabil-Therm 200A OvenHydraulic, electric automatic trigger thermostat control maintains a high degree of accuracyInner glass door gives clear, unobstructed, view of full working chamber.Double-wall heavy gauge steel construction for safety and durability, with 2 in thick wool insulation provides ideal temperature equilibrium. Dimensions: 38"H x 23"W x 22" D, . 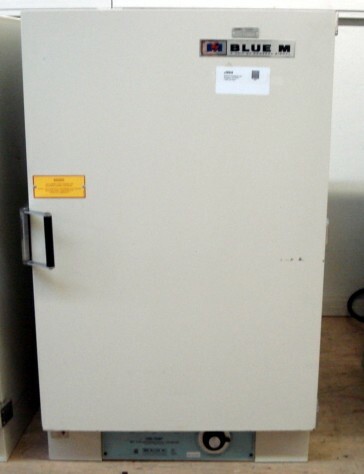 I have a stabil-therm dry type incubator from Blue-M, I need to control the temp. There are no threads in Blue M Stabil-Therm 200A Reviews at this time.